Sorry, there are no currently available homes by a Realtor named Greg Smith. If Greg appears to have a listing, it may be sold, expired, or off the market. Can't find what you're looking for? It's possible that Greg Smith	has a listing that is sold, expired, or is no longer on the market. All listing, agent, and brokerage information is licensed through the Wasatch Front Regional Multiple Listing Service. has agreed to pay any WFRMLS-member real estate brokerage, including Fantis Group Real Estate, a Buyer's Agent Commission for any listing displayed on Saltyhomes.com. Each Broker Subscriber expressly consents to all IDX Participating Brokers and all IDX Agents advertising all Listings for properties listed for sale by the Broker Subscriber in accordance with the IDX Policy, and in connection with such advertising, each Broker Subscriber consents to WFR granting licenses to all IDX Listings to IDX Participating Brokers, IDX Agents, Vendors and other third parties deemed appropriate by WFR to facilitate the display of IDX Listings by IDX Participating Brokers and IDX Agents. Greg Smith, Realtor® and are not affiliated with Saltyhomes.com, Fantis Group Real Estate or Tony Fantis, Realtor®. 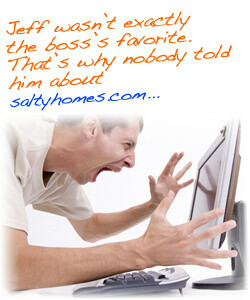 Note: In some cases there may be more than one Utah Realtor® with the same name. Homes and condos that are listed for sale may not appear on this Utah home listing site if the home is sold or has been taken off the market, according to mls rules. The Fantis Group is a progressive, full service real estate company based in Salt Lake City, Utah. Their approach to Utah real estate is traditional and lifestyles-based, yet modern and forward-thinking. Tony Fantis says, "We've made it easier to buy and sell online. We're committed to real estate excellence offline, too. Call or email to check us out. We're pretty sure you'll be glad you did. We are Salt Lake City Realtors committed to making real estate easy and building real relationships that truly last a lifetime." One of the many unique services that the Fantis Group provides is this fancy Utah home search that is completely free. Enjoy!